Wow. The shear sight of this device would make most drop to their knees for mercy. 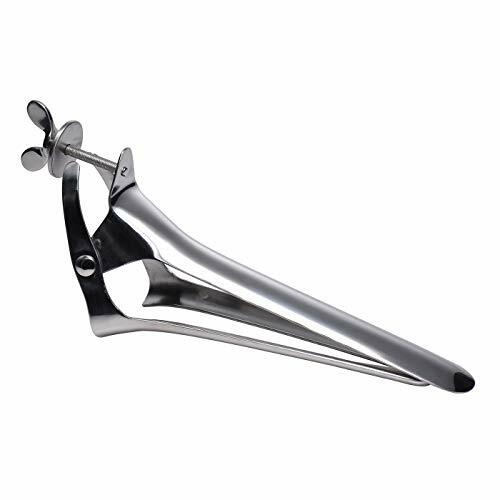 This HUGE all stainless steel vaginal speculum was designed for large animals. Used for diagnostic examinations and or other procedures. Excellent quality, being made of surgical stainless steel it can be processed for frequent sterilizations and long life. To operate speculum simply turn the hand screw until desired opening is achieved. Measurements: 17 inches in total length, 13.75 insert able. Opens to 4 inches in width. Material: Stainless steel. Excellent statement piece or decoration. If you have any questions about this product by Kink Industries, contact us by completing and submitting the form below. If you are looking for a specif part number, please include it with your message.